The Coopered Tot: Dallas Dhu - a whisper of a memory of a summer meadow long ago. 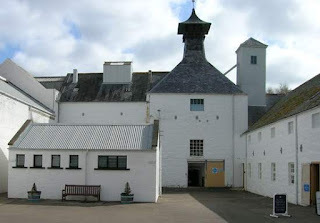 Dallas Dhu - a whisper of a memory of a summer meadow long ago. Dallas Dhu has been a museum for more than 20 years. Its pagoda roof dates from the 19th century - one of the oldest in Scotland. It closed in 1983 as part of the great closings of the era (probably much to do with the trend for vodka and white spirits in the 70s and 80s). 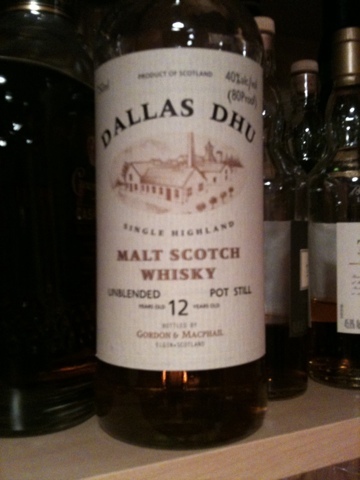 I've had a "dusty" Dallas Dhu 12 - from Gordon and Macphail mid 90s bottlings since 1998. I bought it to remember my bachelor's party at Keens where we had some lovely pours including this one. Nose: Heather, flax, honeyed sherry, vanilla oak notes. There's a distant herbal vegetal note like milkweed sap that is bracing. To sum it up I would characterize it as wildflowers in lush grass near some oak woods on a dry hot summer's day. Given the context (that the distillery closed in 1983 and that I bought the bottle in 1998 on the eve of my wedding) this is an echo of summer's day from a time far off, when I was young... when things were different. Entry is sweet with mild honey and malt. Mid palate has breakfast cereal grains, malt sugars, a broad peppery expansion with peppermint overtones. Oak tannins and floral vanilla notes bloom in the finish which isn't terribly long but longer than expected with an old wood quality at the finish. There's a surprisingly substantial texture for such light floral heathery fare. 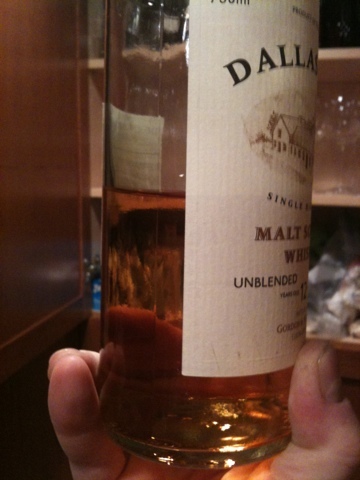 It's a tasty and easy drinking dram. 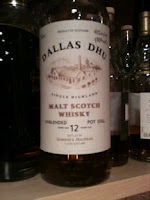 Dallas Dhu: Heathery like Royal Lochnagar, but mint scented like an Irish whiskey. Nice.